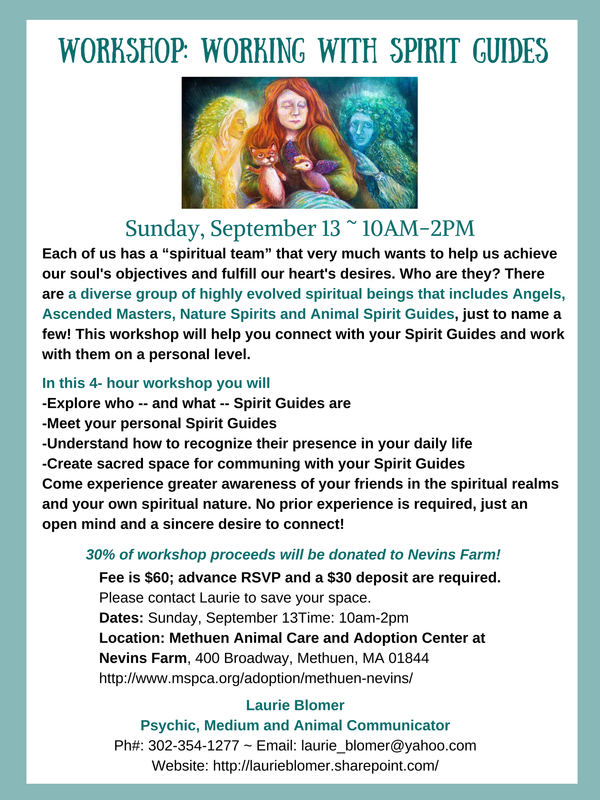 Don’t miss out on our next workshop with Laurie Blomer – Psychic, Medium and Animal Communicator on 9/13 at the MSPCA at Nevins Farm! We are so excited to have her back with us to teach “Working with Spirit Guides”! Space is limited, so don’t delay! 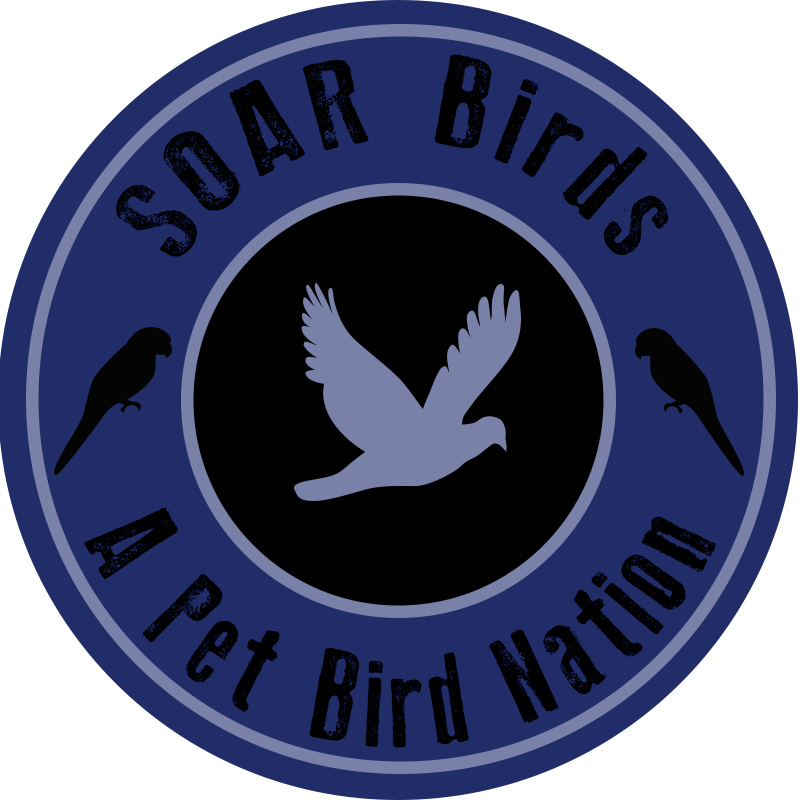 Laurie will be donating an even bigger percentage of tuitions to the MSPCA at Nevins Farm Walk for Animals via Team on a Wing and a Prayer! Laurie has made it even easier to sign up for the workshop with PayPal on her website. http://laurieblomer.sharepoint.com/Pages/WorkshopsandEvents.aspx (To pay by check, email Laurie at laurie_blomer@yahoo.com) Each of us has a “spiritual team” that very much wants to help us achieve our soul’s objectives and fulfill our heart’s desires. This workshop will help you connect with yours and work with them on a personal level. Come experience greater awareness of your friends in the spiritual realms and your own spiritual nature. No prior experience is required, just an open mind and a sincere desire to connect! Fee is $60; advance registration and a $30 deposit are required. You can register and pay automatically via PayPal here: http://laurieblomer.sharepoint.com/Pages/WorkshopsandEvents.aspx Please email laurie_blomer@yahoo.com if you prefer to pay by check.